Rumblings have been happening on places like the official Final Fantasy XV Reddit, NeoGAF and other gaming discussion communities that the upcoming Final Fantasy XV has been delayed by 60 days. 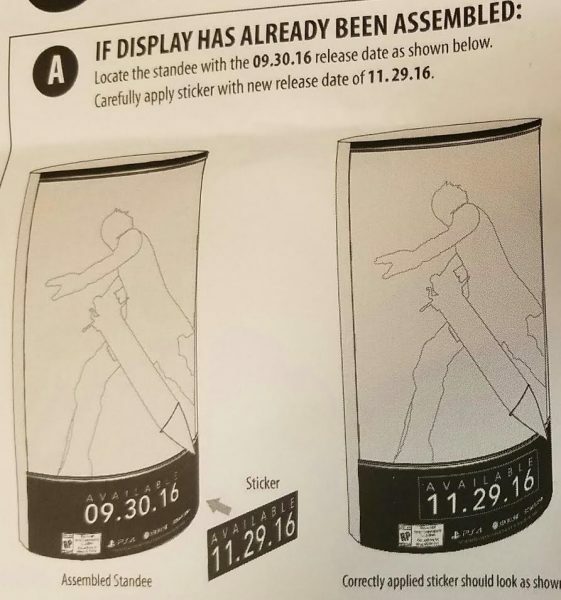 Originally posted by outlet Gamnesia – instructions were reportedly sent out to GameStop locations in the United States to update their cardboard standees with a new date: November 29th 2016. Confirmed with another non-retail source: FFXV delay is real. Images also surfaced on NeoGAF from the GameStop mail-out explaining the process of updating Final Fantasy XV’s in-store marketing materials. 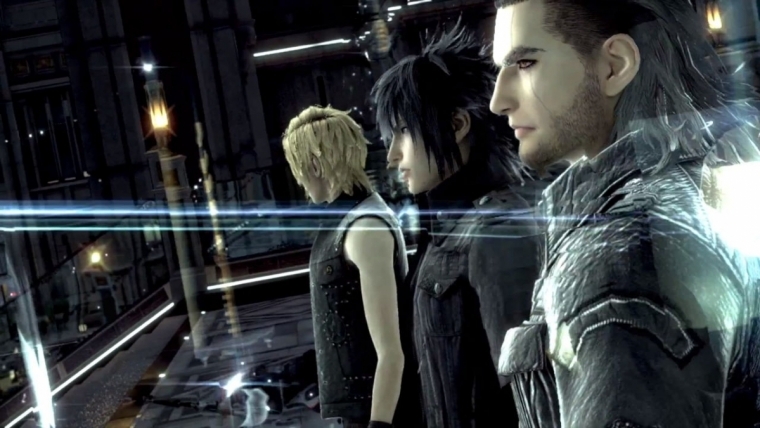 Final Fantasy XV re-emerged from years of silence during E3 2013 and has had two playable demos released to the public over the past 18 months – Episode Duscae was released as a pack in with Final Fantasy Type-0 HD in March 2014 and Final Fantasy XV: The Platinum Demo was released just before E3 2016. Final Fantasy XV began development as Final Fantasy Versus XIII and was announced more than 10 years ago at E3 2006!